Below is a list of organizations and foundations that support limb girdle muscular dystrophy (LGMD) specific research and services. Most of these organizations are 501 (c)(3) tax-exempt public charities. As such, all donations are fully tax deductible. The French Muscular Dystrophy Association (AFM-Téléthon) is composed of patients and their families who are affected by genetic, rare and progressive diseases that lead to heavy handicaps. The French LGMD Patient Group was created at the beginning of 2018 and is part of the AFM-Téléthon Association (French Muscular Dystrophy Association). It focuses on all subtypes of limb-girdle muscular dystrophy with the goal to find treatments no matter how long it takes! BL&L, a non-profit organization established to raise money dedicated exclusively to Limb-Girdle Muscular Dystrophy type 2A (LGMD2A) and to educate on the disease course and associated struggles of LGMD2A, as recounted through my personal experiences. Camron’s Cure Foundation is a non-profit public organization that is focused on uniting people afflicted by this rare disease and in supporting vital research to find a cure and treatment for Limb Girdle Muscular Dystrophy, type 2S (LGMD2S). Coalition to Cure Calpain 3 (C3) is a non-profit public organization that provides support for promising research into finding treatments or a cure for Limb-girdle muscular dystrophy, type 2A/Calpainopathy (LGMD2A) – which results from a deficiency of the calpain 3 enzyme. The organization also maintains the LGMD2A Patient Registry which will provide researchers with a list of people to contact about clinical trials of promising therapies. Coalition to Cure Calpain 3 (C3) was founded in 2010 for the specific purpose of funding research efforts focused on understanding the biology of and finding a cure for LGMD2A – a form of Calpainopathy. 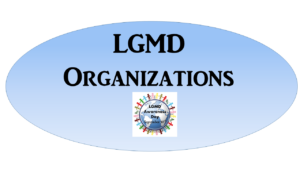 This organization was created by people with LGMD2A for people with LGMD2A as both founders have this progressive disease. The organization is motivated by a desire to encourage collaboration among scientists, those who have LGMD2A, their families, friends and the community-at-large to bring an end to this under-researched, underfunded “orphan” disease. 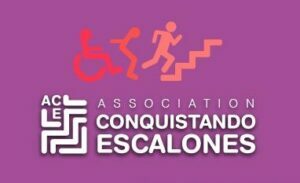 “Conquistando Escalones” Association was created for individuals with Limb Girdle Muscular Dystrophy, type IF (LGMD1F) and their families. In the past 15 years, great advances have been done in the research on this disease, but the main discover has been done in 2013: the malfunction on gene TNPO3 that causes this disease, makes people affected by LGMD1F immune to HIV infection and they could be a possible cure for the AIDS. Since this extremely important discovery, not only for the LGMD1F affected but also for millions of peoples, we have got the attention of media and companies. This helped us in making ourselves, and the importance of this research, known and allowed us to organize several events to collect the money we used to directly finance an international research project on LGMD1F and AIDS with the objective of healing both of them. The CureLGMD2i Foundation is a non-profit public charity and our goal is to support cutting-edge research facilities who are working to establish an effective treatment or cure for Limb Girdle Muscular Dystrophy, Type 2I (LGMD2I). The CureLGMD2i Foundation was created by the Brazzo Family when their daughter, Samantha, was diagnosed with Limb Girdle Muscular Dystrophy (LGMD Type 2I) at the age of two. At that time, the Brazzos realized that there were no organizations accepting donations specifically for research for LGMD2I. They decided to create this Nonprofit Organization (formerly known as The Samantha J. Brazzo Foundation) with a mission to spread awareness about LGMD2I and to raise funds to support research for this progressive disease. 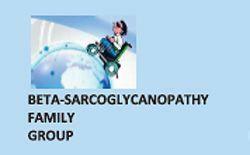 The Family Group of Beta-sarcoglycanopathy (GFB ONLUS) is a group of families with people with beta-sarcoglycanopathy and other Limb-girdle muscular dystrophies. THE GFB ONLUS is a non-profit organization and it was created to finance research projects aimed at treating Limb Girdle Muscular Dystrophy type 2E (LGMD2E). Formed in February 2013, since 2012, the family of GFB ONLUS has raised more than $ 700.000 for research into LGMD2E. 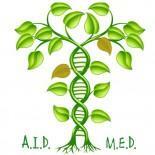 Among other initiatives, the association is currently funding a gene therapy project about LGMD2E. The Italian Association of Emery Dreifuss Muscular Dystrophy, also known as AIDMED, is a non-profit social (non-profit) that aims to involve all people affected by this disease and those who want to support us, building a network of solidarity and support in difficult times. Emery Dreifuss Muscular Dystrophy stems from a genetic mutation causing visible damage to the skeletal muscles and the heart muscle. Among the objectives of the Association is to support research projects on these genetic mutations. More contributions we can gather, the faster the goals of these research projects will become concrete realities. The Italian Association Calpain 3 (AICa3) is a non-profit organization with the focus to the fight against Limb-Girdle Muscular Dystrophy Type 2A (LGMD2A) caused by calpain 3 deficiency. 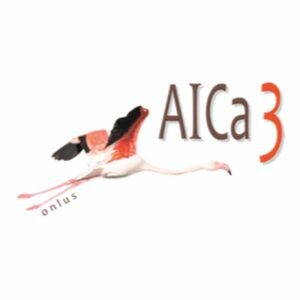 The mission of AICa3 is to support research in order to find the therapeutic treatment that puts a definitive end to Limb Girdle Muscular Dystrophy Type 2A (LGMD2A) and other calpainopathies. Since this is a very rare disease and consequently almost unknown, we want to stimulate and maintain public interest for individuals that suffer from this disease by promoting and supporting scientific research, by collecting funds for the same, and give help to all those people who are facing this problem through the exchange of information and experience. The Jain Foundation is a non-profit private foundation whose mission is to cure muscular dystrophies caused by dysferlin protein deficiency, which includes the clinical presentations Limb-girdle muscular dystrophy type 2B (LGMD2B) and Miyoshi muscular dystrophy 1 (MMD1). The foundation is privately funded and does not solicit funding from patients or other sources. The Foundation’s focused strategy includes funding and actively monitoring the progress of scientific research projects in key pathways towards a cure, providing financial and logistical support to promising drug candidates to accelerate them to clinical trials, funding clinical trials and studies, encouraging collaboration among scientists, and educating LGMD2B/Miyoshi patients about their disease and helping them with their diagnosis (e.g., funding dysferlin protein and gene mutational analysis). The Kurt + Peter Foundation, a non-profit public organization, was formed by the family and friends of Kurt and Peter Frewing to raise money and direct it into the hands of researchers who have the best shot at developing a treatment or cure for Limb Girdle Muscular Dystrophy type 2C (LGMD2C). Since 2010, the Kurt+Peter Foundation has raised more than $1 million for research into LGMD2C. Among other initiatives, the foundation is currently funding development of an exon-skipping compound that the foundation hopes will treat the majority of LGMD2C mutations. The LGMD-1D DNAJB6 Foundation is a non-profit public foundation whose mission is to maintain a central location for individuals diagnosed with Limb Girdle Muscular Dystrophy type 1D (LGMD1D) to meet, consolodate relevent news, and launch fundraising efforts in order to advance research. Genetic and molecular research for these orphan diseases are exploding and techniques that are developed to cure can often be shared with others often afflicted with other crippling genetic disorders that are seemingly unrelated. Our cause is relatively small but our vision includes all people struggling with under-recognized genetic disorder. 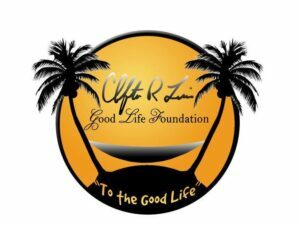 The LGMD2D Foundation is a non-profit private foundation whose mission is to expedite the development of a cure or therapy for Limb-girdle muscular dystrophy type 2D (LGMD2D). In addition to educating patients and physicians, the Foundation maintains a patient registry, funds and monitors research and progress, provides financial support to accelerate clinical trials, and encourages scientific collaboration. The mission of the LGMD2D Foundation is to support research and clinical trials to speed the development of treatments and cures for LGMD2D. Formed in September 2013, the foundation is committed to the development and maintenance of an international patient registry for individuals diagnosed with LGMD2D and to supporting relevant scientific research. The LGMD2L Foundation’s goal is to unite people afflicted by the rare disease Limb-girdle muscular dystrophy type 2L (LGMD2L). Also, provide an open forum to connect, discuss, and ultimately build a community of LGMD2L members. Although our disease is rare and poorly understood, we have established this foundation to build a database of LGMD2L patients for future scientific research and clinical trials. The only way to bring about change is to unify those who are driven for a cure! The LGMD2I Research Fund is a non-profit private foundation whose mission is to expedite the development of a treatment for Limb-girdle muscular dystrophy type 2I (LGMD2I). Through its grant awards program, the LGMD2I Research Fund promotes basic research, fosters clinical trial readiness and supports the translation of promising scientific discoveries into clinics. McColl-Lockwood Laboratory for Muscular Dystrophy Research is a non-profit public charity with the mission to develop experimental therapies for the treatment of the muscular dystrophies and to facilitate the translation of experimental therapies to clinical trials in order to improve the quality of life for patients with the disease. 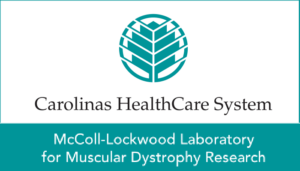 Initiated in 2003, the Carolinas Muscular Dystrophy Research Endowment is dedicated to supporting research for select types of muscular dystrophy, particularly Limb Girdle, which is currently being conducted in the McColl-Lockwood Laboratory for Muscular Dystrophy Research at Carolinas Medical Center, directed by Qi Long Lu, MD, PhD. 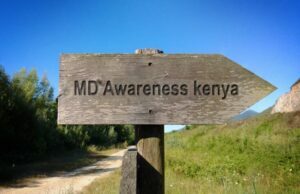 Muscular Dystrophy Awareness of Kenya (MUDAK) is a community-based organization which was founded with the main objective of championing for the rights and freedom of people leaving with muscular dystrophy and other forms of neuro-muscular conditions through awareness creation and assisting those newly diagnosed to get information about the condition. The Muscular Dystrophy Clinic at Nationwide Children’s is nationally recognized for leading research and clinical care for patients with any of the muscular dystrophy types. Supported in part by the Muscular Dystrophy Association (MDA), we provide the highest level of comprehensive care to patients from across the country. Our multidisciplinary team is the foundation of our clinic. The combined expertise of specialists in neuromuscular disorders, cardiology, pulmonary medicine, and other disciplines coordinate patient care in a single clinic location. Specialized therapists in the clinic manage activities of daily living and assist patients with techniques to adapt to progressive symptoms. Nationwide Children’s is also an NIH-funded Paul D. Wellstone Muscular Dystrophy Cooperative Research Center. NMD United was born from the idea that adults with neuromuscular disabilities needed a way to connect, share knowledge, support each other, and empower one another. 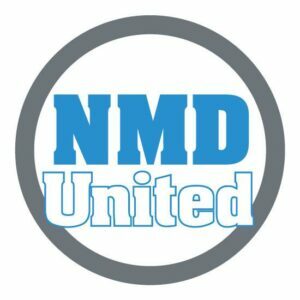 NMD United is a 501(c)3 non-profit organization governed by a board of adults with neuromuscular disabilities, bringing to the table diverse backgrounds and skill sets, yet all having shared similar experiences that have created a sense of community. Together, they have established NMD United. This association is referred to as ‘Nihon dysferlinopathy kanjya-kai’ in Japanese and PSDJ, ‘Patients’ Association for Dysferlinopathy (MM/LGMD2B/DACM) Japan’ in English. PADJ was established for the communication between Japanese and international patients with dysferlinopathy (Miyoshi myopathy, Miyoshi muscular dystrophy 1 (MMD1) and limb-girdle muscular dystrophy type 2B (LGMB2B), development of early treatment for dysferlinopathy aimed at a complete cure. Project Alpha is a non-profit association located in Spain that, after a personal history, was created to help and fight for a treatment for all those affected by the Muscular Dystrophies of Cures by Deficit of Sarcoglycans (Alpha, Beta, Gamma, and Delta). The Sarcoglycanopathies include LGMD2C, LGMD2D, LGMD2E, and LGMD2F. The main purpose of the Association is to support scientific research of this disease to prolong the life of these people and find out a treatment or cure for the disorder. Raise funds for research in order to start and improve clinical trials. The Speak Foundation (TSF) is a non-profit organization that is run entirely by volunteers who live with a form of Muscular Dystrophy or who have a loved one with a disability. We are a charitable, faith-based organization that is dedicated to helping people of any age cope with and overcome the challenges of living with a neuromuscular disease (NMD). We are available to provide support to people with other health conditions as well. We personally understand the challenges that many people with MD face; TSF was created to unite a community, give all people with disabilities a voice, and defend the rights of those in need. A central part of our mission is to reach out to those living with NMDs, to connect their lives through mentorship, provide information and support, and inspire hope. One way that we do this is through our annual summer conference, which provides a context for relationship building and educational sessions on the many issues that affect those with NMDs most deeply. We hope to connect with those who are newly diagnosed so that we can provide you with a community of helpful information and resources that will greatly assist you.